Chico Fernandez has fly fished for over 40 years. He has broken several world records, most notably, the largest redfish taken with a fly rod, at 42 pounds, 5 ounces (I.G.F.A. record on 12 pound test tippet). He was also one of the first (1980) to land a white marlin on a fly rod. Chico gets around, he has fished in most of the U.S., Alaska, Central America, South America, Cuba, Cayman Islands, Bahamas, Bermuda, New Zealand, Canada, Europe & others. Chico Fernandez has fly fished for over 40 years and has broken several world records, most notably, the largest redfish taken with a fly rod, at 42 pounds, 5 ounces (I.G.F.A. record on 12 pound test tippet). He was also one of the first to land a white marlin on a fly rod. His real passion; however, is snook. Listen in to find out Chico's secrets on fly fishing for these incredible game fish. Chico Fernandez shares a lifetime of experiences fly fishing for redfish. He'll cover all the essentials including rods, reels, rigs, casting techniques and flies. Join us and learn how to hook up with a redfish. After working as an accountant and later Budget Director for Burger King Corp., he quit in 1974 to become involved in the outdoors field (articles, books, casting demonstrations, personal appearances, consulting and promoting). I talk personally with many boaters, fly fishermen and other anglers each year. He talks personally with many boaters, fly fishermen and other anglers each year. He's fished since he was six years old and has actively fly fished for over 60 years. Chico's fished in most of the lower 48 states, Alaska, Central America, South America, Cuba, Cayman Islands, Bahamas, Bermuda, New Zealand, Canada, Spain & others. He has broken several world records. Most notably the largest redfish taken with a fly rod, at 42 pounds 5 ounces. (I.G.F.A. record on 12 pound test tipped) and was the second person (1980) to land a white marlin on a fly rod. His articles – over 700 - have appeared on most mayor outdoor publication in U.S. and abroad - in Japan, Argentina, Spain and France. He wrote The FisHair Saltwater Tying Guide, Fly Fishing for Bonefish and Fly-Fishing for Redfish. The movie, "Chico and the Kids" (teaching kids how to fly fish) won the Outdoor Writers' Association of America's Award in 1980. He appears frequently on television fishing programs. Presently, he has five videos on the market (in English, Spanish, and Japanese) on fly fishing, fishing with kids and casting tackle. 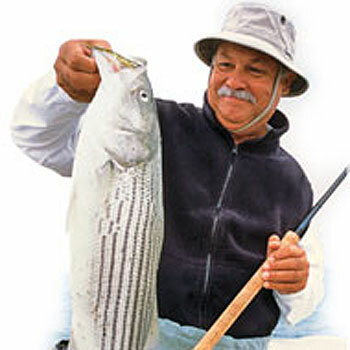 Chico has consulted for many national & international firms on fishing and fly fishing tackle, skiffs and canoe designs. He is a Charter member of the Board of Governors, Emeritus status and lifetime member of the International Federation of Fly Fishers and Director at Large of the Florida Council Board, Advisor to The Snook Foundation; founding member Bonefish & Tarpon Trust [BTT] and in their Board of Directors and the IGFA [International Game Fish Association] Representative for Miami and lifetime member. He is also on the editorial board of MidCurrent. Presently, he is a consultant for Hell’s Bay Boatworks (Titusville, FL) and Costa sunglasses (Daytona Beach, FL).